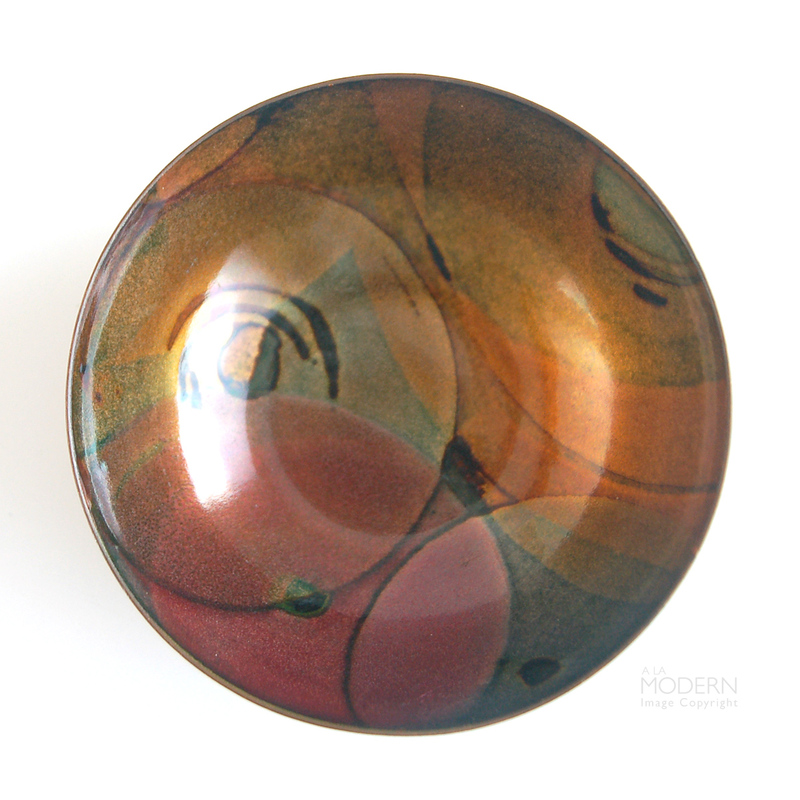 A wonderful, very rare small enamel bowl by the Finnish artist Saara Hopea-Untracht. 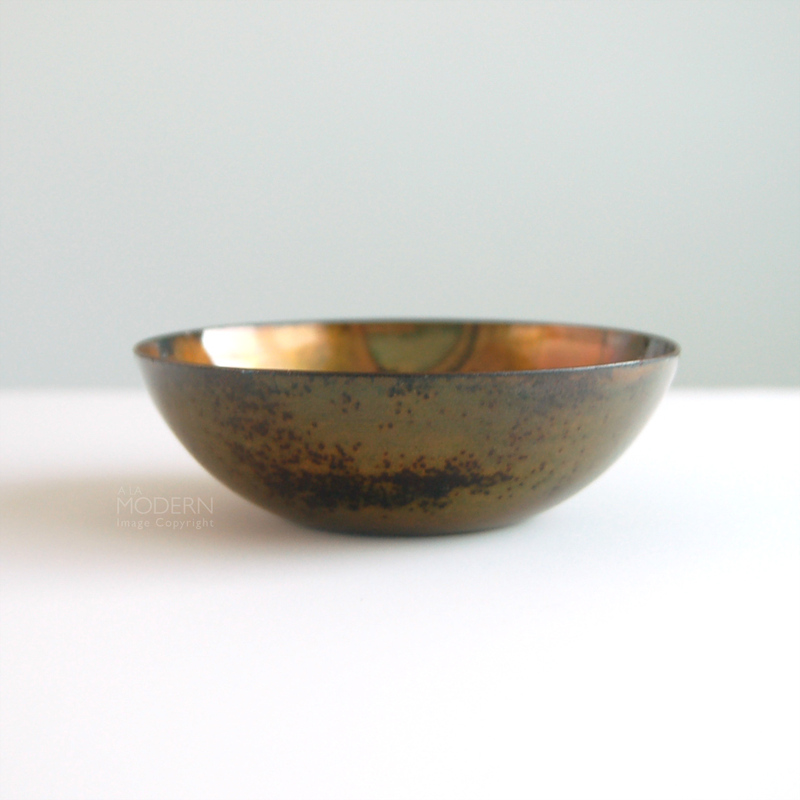 One of the most important desginers in Finland, often known more for her jewelry but did extensive work in furniture, ceramics and metals as well. 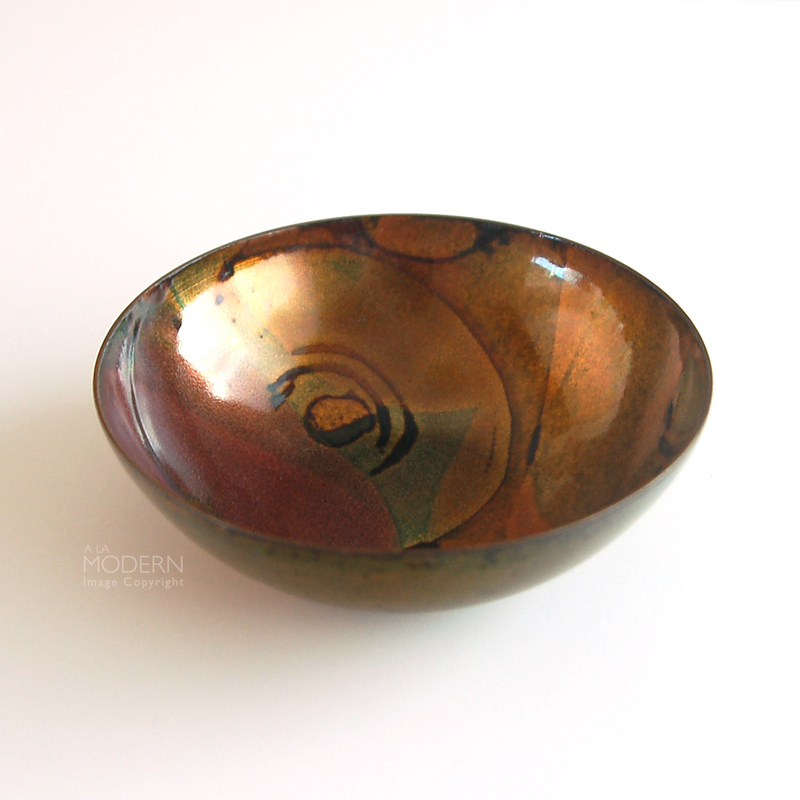 This enamel bowl has a fantastic abstract line pattern in subtle red, orange and green shades of glaze on copper. Please see the many articles and listings online about her for more information, this piece could easily be in a museum. 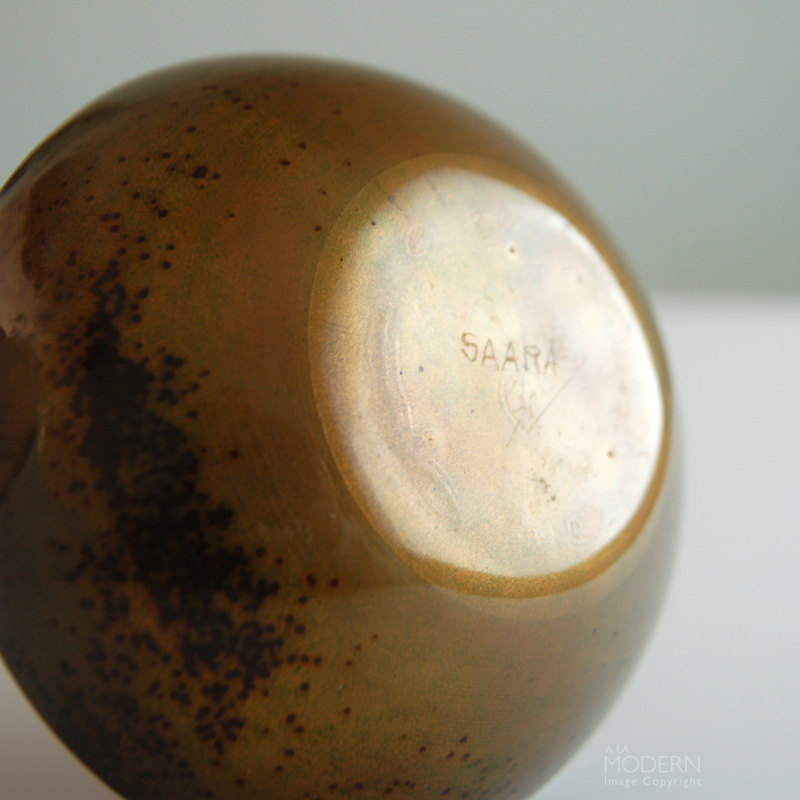 Marked on bottom with inscribed signature "Saara". In good vintage condition, with no cracks or chips. 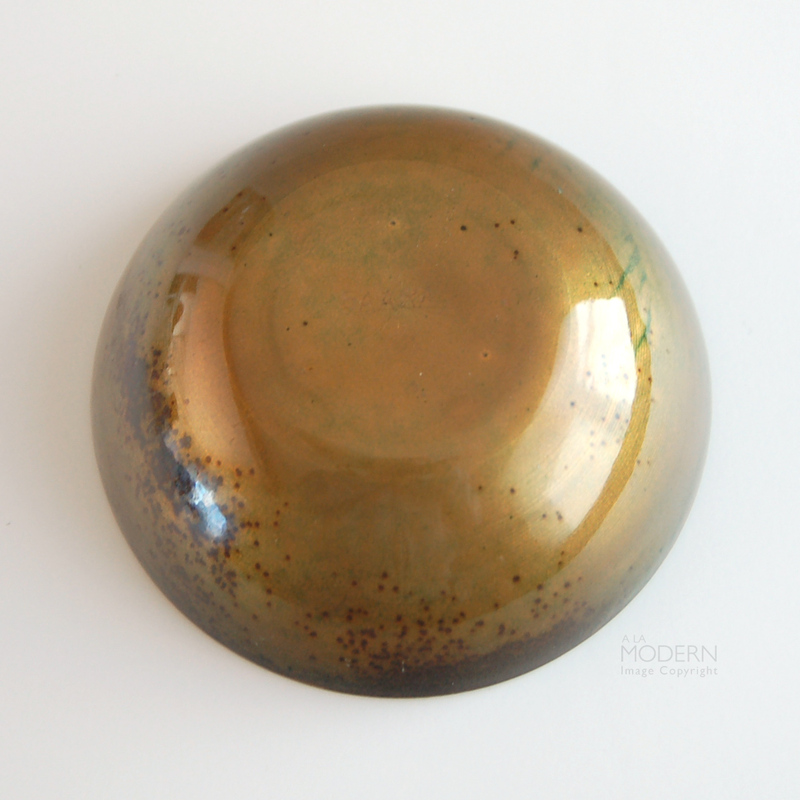 There are 2 small flake fleabites to rim but not that visible. Some points of crazing here and there. One craze point on the bottom exterior of the bowl.